Fig. 1. The Azuara impact structure and the location of the Moyuela outcrop. Fig. 2. 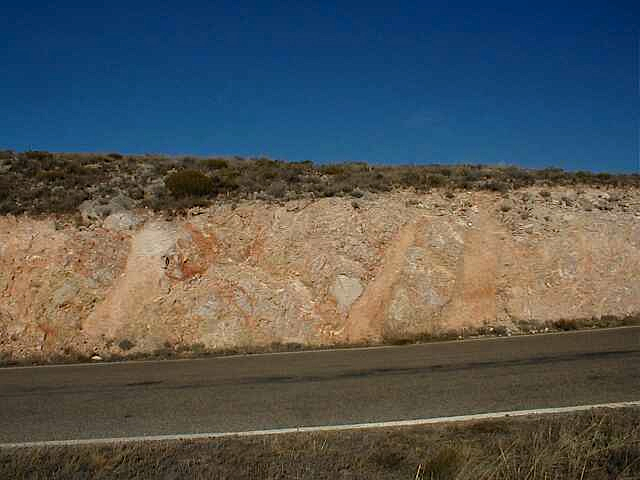 The normally well bedded Jurassic limestones have completely disintegrated to become a kind of a megabreccia. A larger limestone block having preserved some coherence has obviously been markedly rotated. Such an isolated rotation of larger blocks is a typical impact feature, and similar situations will be shown in upcoming contributions. Fig. 3. 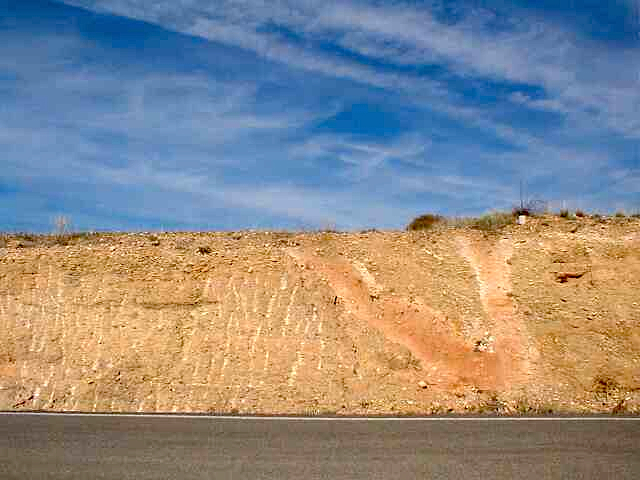 Only a few ten meters aside: The bedding of the Jurassic limestones is still well recognizable but in clear disarray. 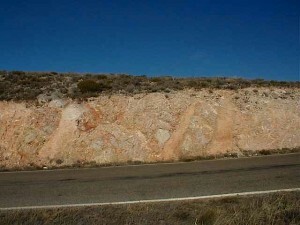 Obviously strong dilatation, probably initiated by impact rarefaction waves, has enabled loose material to penetrate the limestone complex and to establish a net of breccia dikes. Fig. 4. 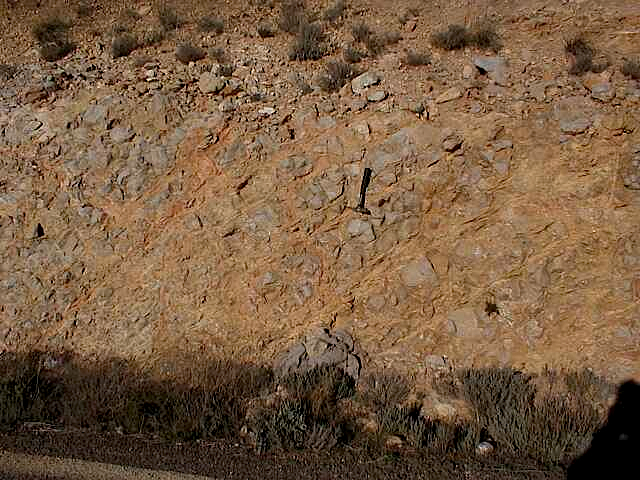 Within the same megabreccia complex: more breccia dikes of bigger size are cutting sharply through the remnants of the limestone bedding. Any kind of karstification can absolutely be excluded. Fig. 5. 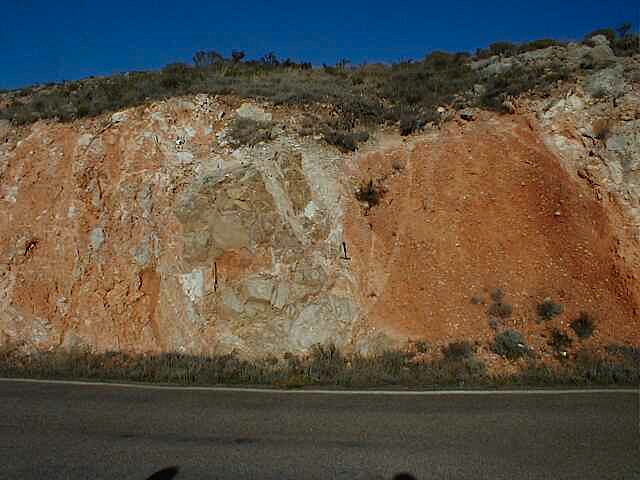 A nice counterpart of a breccia dike emplacement is found roadside west ahead of Escorihuela in the Rubielos de la Cérida impact basin. 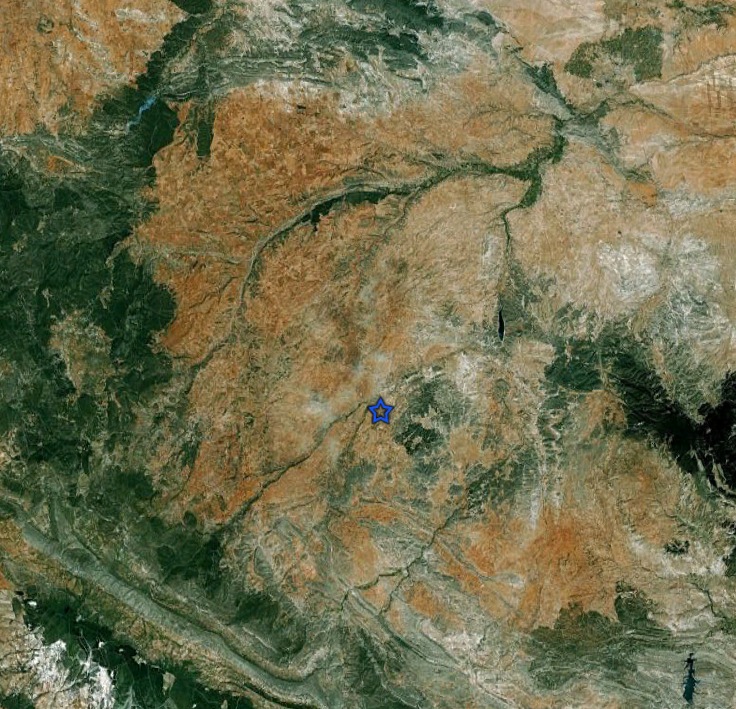 Different from the Jurassic environment at Moyuela the dikes are in this case sharply cutting through Lower Tertiary conglomerates.